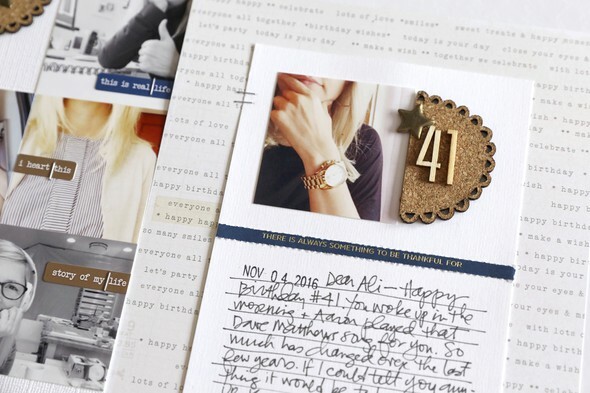 Join Ali Edwards for a fun, creative online workshop focused on the basics of hybrid scrapbooking. 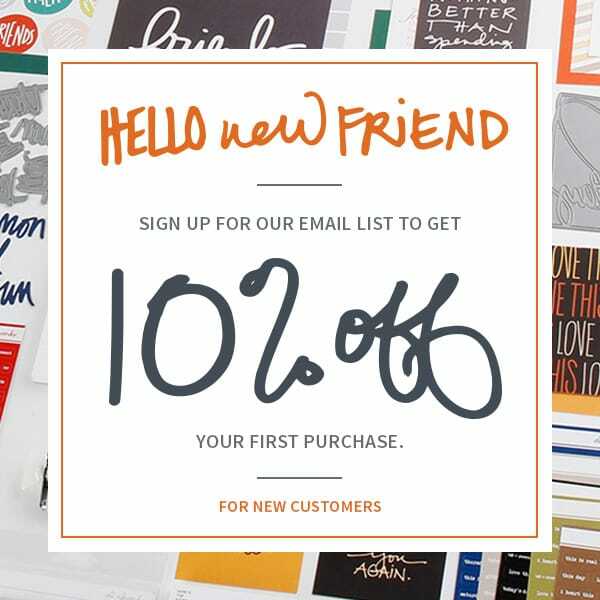 Hybrid scrapbooking pairs printed digital products such embellishments, brushes + layered templates from your computer with traditional scrapbooking products. 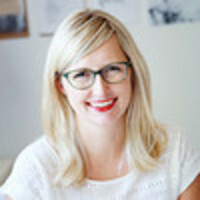 Over the four weeks Ali will walk you through her favorite ways to use printed digital products to get more of your stories told. My goal is to walk you through the steps of making digital products a part of your regular memory keeping process. That might mean simply printing a digital embellishment or journal card or it might mean starting your entire layout on the computer and then printing it out and adding physical embellishments on top. Examples of techniques will include both past projects and new ones centered on showing how to work with specific kinds of digital products. Video tutorials will be all new using Photoshop Elements 14 or Photoshop (depending on the project). When applicable Ali will also show how to use the digital products in Word. Please know that this is NOT a workshop that will teach you all the ins and outs of either Photoshop program. This workshop, as with all of Ali's workshops, will focus on the ways in which she uses her computer and digital products vs. exploring every available technique and option. 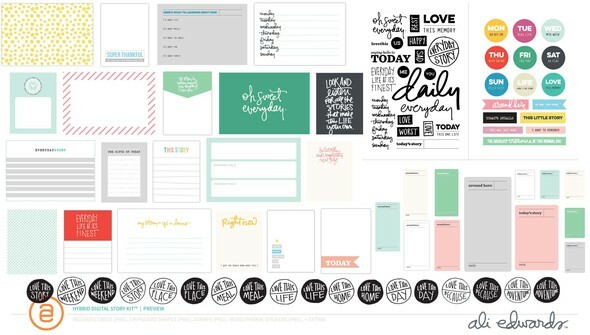 Included in the cost of the workshop is a full digital package of products, similar to what is offered in my Digital Story Kits™ (journal cards, brushes, and embellishments - valued at $19.99), and a sample layered templates and additional digital items as they make sense for specific lessons (these will be made available later in the class). This workshop will be especially helpful for people who are subscribers to my Digital Story Kit™ and have been wondering how to make the most of their subscription. 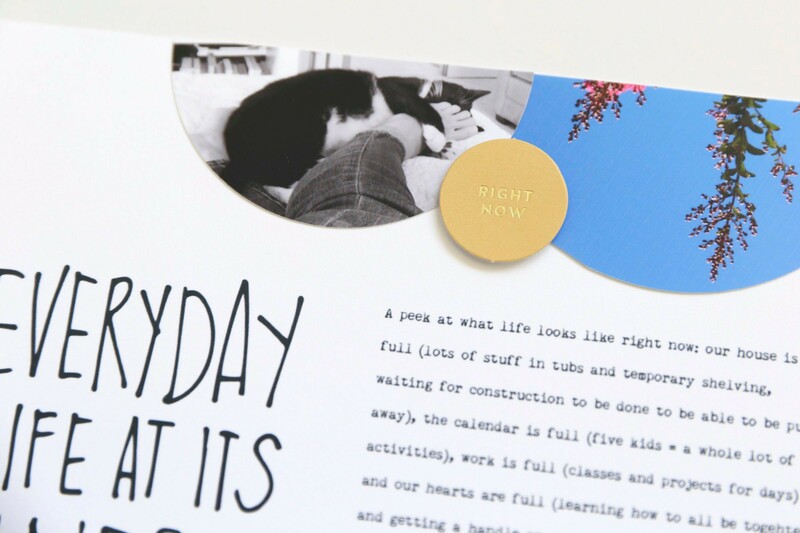 As always, even with a focus on working with and printing digital products, Ali's projects and ideas will be rooted in stories and her examples will be showing how the products can best support the stories you want to tell. PLEASE NOTE | This is a self paced class. All lessons will be available to you upon purchase. Recommended class supplies listed here are not needed for the workshop - they are simply some of Ali's personal favorites. Hybrid Supply Recommendations | Suggestions for programs, printers, and paper. Lesson 01 | Basics + Downloading + Opening: A look at the very basics of getting started: program overviews, downloading + opening. Lesson 02 | Organizing: This lesson focuses on the details of a simple folder organization system for digital supplies. Lesson 03 | Printing Basics: Printing basics + comparison of papers and printers + printing multiple items on one page. Lesson 04 | Brushes Basics: Learn how to load brushes, basic brush settings + watch my start to finish layout process. Lesson 05 | Brushes As Patterns: Learn how to create both scattered and seamless patterns in Elements & Photoshop. Bonus Lesson | Pam Baldwin: Printing Digital Products On A Variety Of Materials. 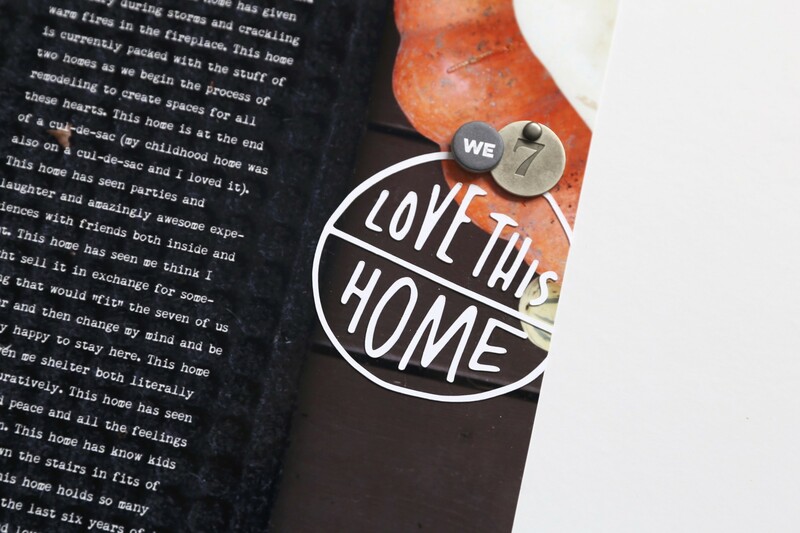 Pam shows you how to print digital elements on canvas, transparency, vellum + shipping tags. Lesson 06 | Brushes And The Silhouette: Learn how to trace + cut PNG files with a Silhouette. Also learn more about my "story flow." 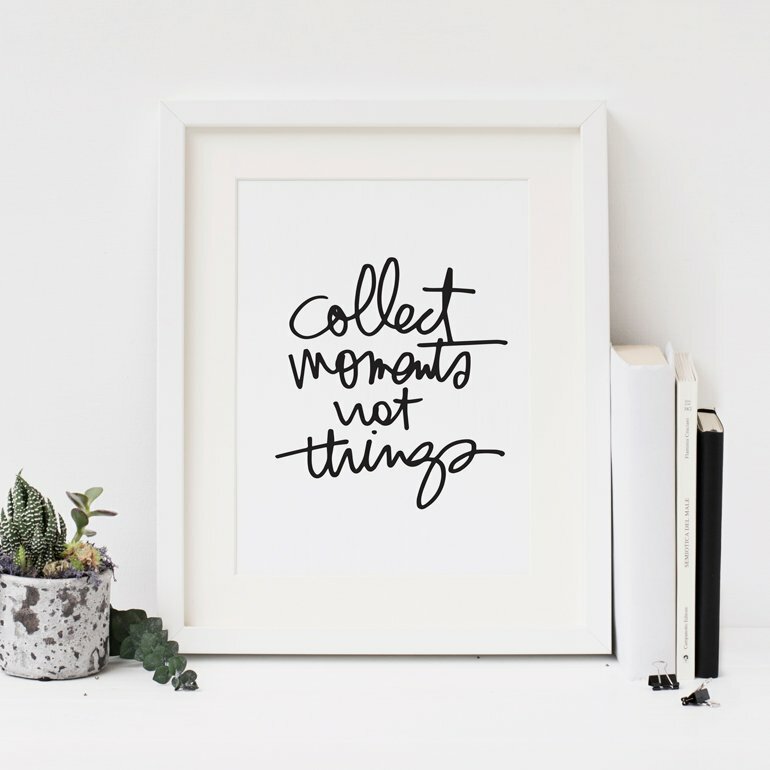 Bonus Lesson | Jen Schow: Silhouette Print & Cut. Jen teaches you how to use the Print & Cut function on a Silhouette Machine. Lesson 07 | Journal Cards: Learn how to recolor pieces, adjust sizes, add type + create your own journal cards. 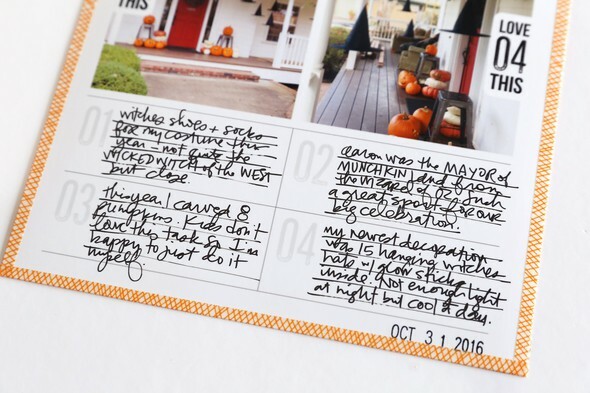 Bonus Lesson | Pam Baldwin: Extracting Elements From Journal Cards. Learn how to extract elements from journal cards in this tutorial from Pam. Bonus Lesson | Brandi Kincaid Hybrid Process. Come in to learn about Brandi's process for working with digital products on her physical projects. 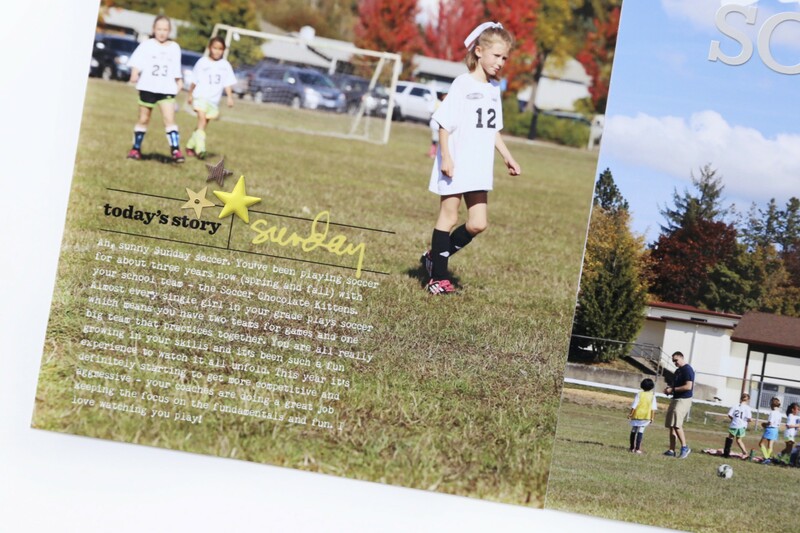 Lesson 08 | Overlays: Learn about working with overlays both on photos and as journal cards. Bonus Lesson | Pam Baldwin: Playing With Vinyl To Create Overlays + Hand-Stitching BrushesLearn from Pam how to use vinyl to create overlays + hand-stitching using brushes. Lesson 09 | Intro To Layered Templates: Learn the basics of working with layered templates in Photoshop or Elements. Lesson 10 | 3x4, 4x6, and 6x12 Layered Templates: In this lesson we are taking a closer look at working with different sizes of layered templates. 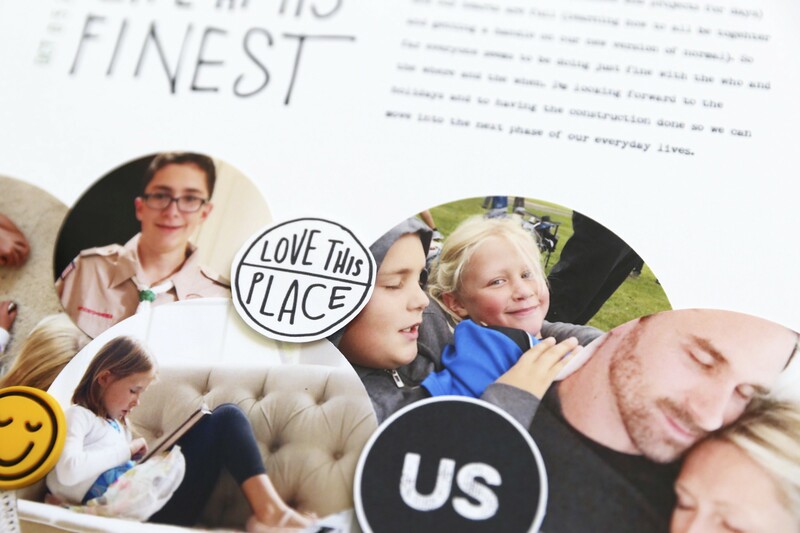 Lesson 11 | Photo Collages: Learn how to work with and create your own photo collage. Lesson 12 | Final Thoughts: Learn a couple more fun techniques suggested by classmates such as wrapping text around an object. There is not a specific software requirement for this class. That said you will need some kind of software that will allow you to open and edit digital embellishments. Photoshop Elements 14 or Photoshop is recommended because we will be working with digital layered templates (you can not work on digital layered templates in Word).